Ahh, coffee. That first sip of hot goodness in the morning is glorious, isn't it? There are days when you need it straight up: No extras, please. But what about those moments when you need a little something else? When that flavored French vanilla, hazelnut mocha, blah blah blend just doesn't cut it and you want a truly special flavor in your morning joe? Well friends, I have a few ideas that might help you perk up that cup-o-joe and will bring new meaning to the phrase "morning jolt." No worries about running out to the store. 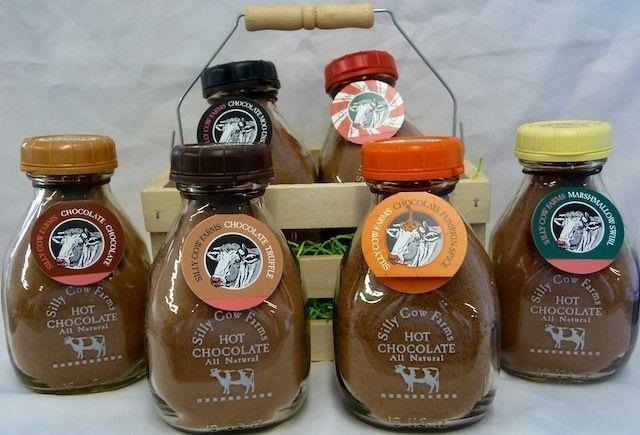 I promise you'll already have a few of these special additions in your kitchen cabinet. Cinnamon and coffee is a dynamite flavor combination. The one thing is that they don't blend very well. If you try to add it after you've already poured coffee into your mug, you'll end up with little floating clusters of cinnamon that end up tasting like gritty little specks of powder. Not fun. However, try adding it before you pour your coffee or during the percolation process and watch the magic happen. 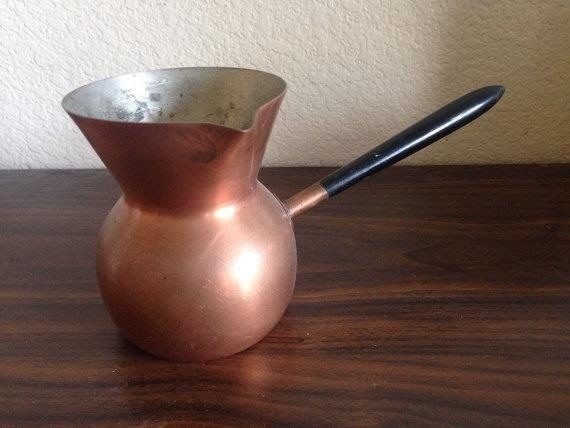 If you're using a good ol' drip, add a teaspoon (or tablespoon if you're making a large pot) of cinnamon straight to the filter with the grinds. Mix it with a spoon to blend once it's brewed and you're done. If you're using a French press, same idea—just add the cinnamon to the bottom of the press. Keurig? No problem. 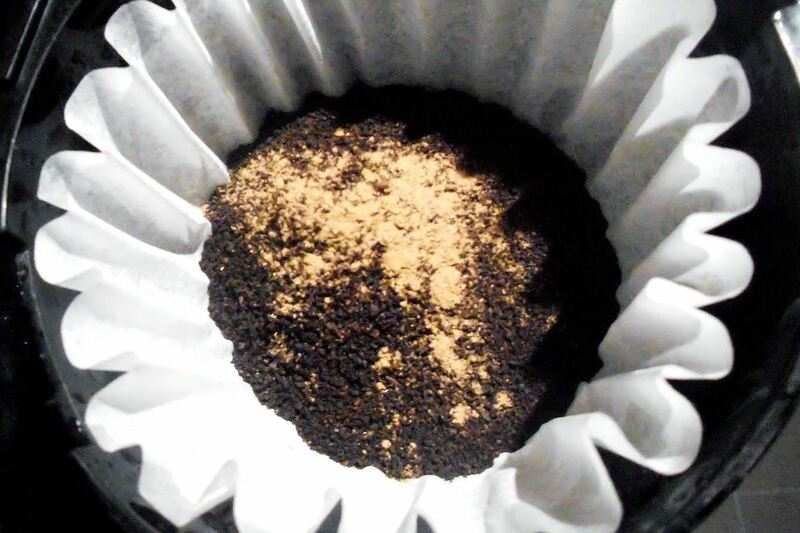 Add a sprinkle to the bottom of your cup before you brew. If you're feeling adventurous, pick up a cinnamon-sugar spice grinder the next time you're at the market. With this, you can grind right into the mug, stir, and enjoy. 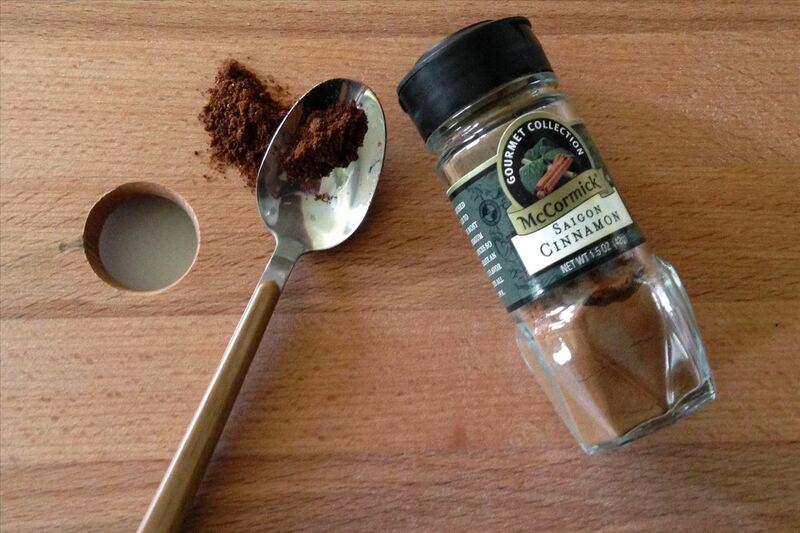 Avoid French or Italian roasts and stick with New England/American roasts when adding cinnamon. You don't want to go too bold or the combo may taste too bitter. Unless you like that—then I say go for it! This is America. It's your coffee, after all. Yes, you read that right. Nutella, people. Take a teaspoon (or tablespoon if you're me) right out of that magic jar of happiness, stir, and watch that chocolatey goodness swirl right to the top. Any type of roast will work here. Oh, and be sure to lick the spoon. Warm Nutella. Need I say more? Take any mint candy you like, put it in a ziplock, and smash or use a grinder to pulverize it into a dust-like consistency. 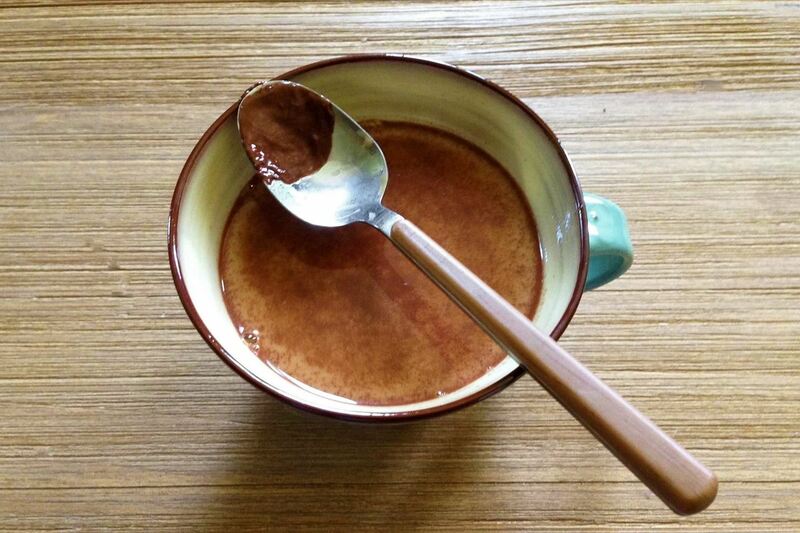 Add to the bottom of your mug before you pour and stir. Here you'll get a refreshing tingle that only peppermint candy can bring. Of course, you can go out and buy some fancy liquid peppermint extract, but then there would be no ziplock smashing. Where's the fun in that? You could even use leftover candy canes from the holidays for this trick. 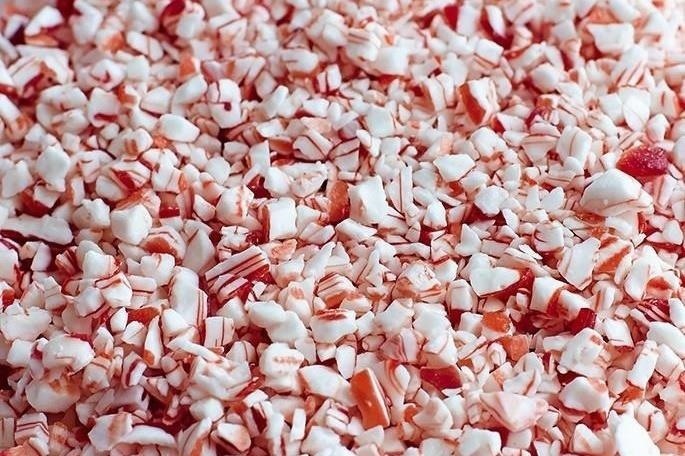 If you're truly lazy, you can just buy pre-crushed peppermint candies. Okay, so I'm going to contradict myself here. When it comes to hot chocolate, I prefer fancy. Sorry. For me, this is a must. Don't get me wrong, any hot chocolate mix will do. But nothing beats a finely powdered, deep, dark hot chocolate. Excuse me while I go make a cup. Follow the steps as you would for cinnamon. Why? Because of its powdery consistency, adding hot chocolate mix on top of your cup of coffee will result in clumping, just like cinnamon. Add it at the right time, and you'll get a better result. Any blend works here as well. In fact, the darker the blend the better. If you're a dark roast kinda guy/gal, get yourself a Spanish roast for this. I promise you won't be disappointed. Or use a microwavable container and set it to 13–15 seconds. It will change your life. Okay, so maybe that's a bit much, but I know you'll at least like it. I wish you all a good joe! I agree, high end hot chocolate is the only way to go! This post is crazy awesome, thanks! Who would have thought of adding nutella! That's so much fun! I use cinnamon a lot, it is wonderful, I agree. But it's also not good to use it a lot, it's not good for you. Unless you're talking the REAL cinnamon, which is not the powder sold in most stores grrrrr. Thank you Mysty! Yes, Nutella IS fun - in coffee or right out of the jar! OK this is so great....I'm the girl in coffee bean with the horrible, floating, weird cinnamon topping.....just tried your way with my french press - delicious :-) Thanks! Thanks L Tay! The french press is my favorite way to prep coffee. Happy you enjoyed the post! Thank you Susan! Yes, please give them a try and let me know. Enjoy! Cinnamon in the grinds! What a great idea. It's a subtle way to add some flavor. I don't like my coffee too sweet. Thank you for this tip! You're welcome Rose! And welcome to Food Hacks!